Improve your home security in Wellington - Lower Hutt - Porirua with a security alarm and security lighting. Micron alarm system - approved installer in the Wellington region. Secure your home with an alarm. Designed and manufactured in New Zealand for over 35 years. Micron has designed and manufactured security products renowned for their reliability, ease of installation and ease of use. CDR Electrical is an approved installer and repairer for Micron alarm systems. 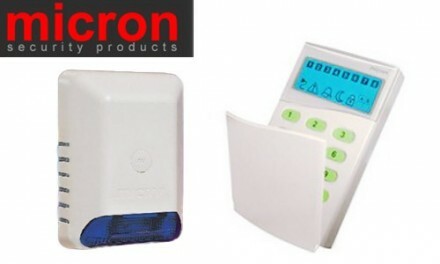 We will provide a free quote to install a new system or upgrade your existing Micron alarm system. The key difference an alarm system offers homeowners, is time. If there's no alarm, intruders break in and they could trash the place and be there for as long as they want. With an alarm, however, a burglar's time is immediately cut. Some insurance companies offer premium discounts on house and contents insurance if a burglar alarm is installed. Consider installing a Smart Vent ventilation system. Using a ventilation system is a more secure way of getting fresh air into your home than leaving windows open. Well lit areas deter burglars. Increase security - it's easier to see who is at your door before you open it. Be safety conscious - you and your visitors can reach your door more safely. In an emergency, it will be easier to exit your property quickly. Light up your BBQ or patio area. 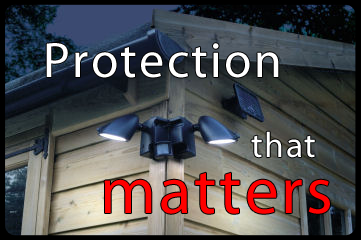 We can advise you on the best solutions for security lighting and outdoor lighting for your property. We have a narrow dark alley way in our rental property, the sensor lights we had kept getting problems with the rain and having to get replaced. I asked Brian to come up with a solution to provide light for the alley way and Brian found some great LED lights with separate sensors each end and fully rewired these. The tenants love the new lights and am really happy with his work. Good to engage an electrician with many years of experience who will give you advise on the best products and what other people are installing and what's happening in the market place. The CDR Electrical team is highly dependable and trustworthy with itemized billing so you know what you are paying for. Brian is extremely knowledgeable so can provide input early on with any project you are embarking on.